Kaua‘i’s own Mark Oyama, Kaua‘i Community College chef instructor and owner of everyone’s favorites Mark’s Place and Contemporary Flavors Catering, was among Hawai‘i’s finest restaurateurs and food industry leaders inducted into the 9th annual Hawai‘i Restaurant Association Hall of Fame on Sept. 21 in Honolulu. Inductees are chosen for their “demonstrated dedication and commitment to the growth of the restaurant and food service industry in Hawai‘i, contributions to the enhancement of its quality and image, and demonstrated service through outreach,” according to HRA. Clearly an excellent fit with Oyama, who has been a key leader in the business since graduating with a degree in Culinary Arts from Kapi‘olani Community College on O‘ahu. Immediately upon graduating, he taught that summer in China, including Xi’an, Hangzhou and Shanghai. He held chef positions in Alaska, Connecticut, O‘ahu and the Big Island before accepting a faculty position in the Culinary Arts Program at KCC in 1992. At KCC, Oyama was soon thrust into the role of managing the kitchen while the college served as a major shelter after Hurricane Iniki ravaged the island on Sept. 11, 1992. In one month, more than 90,000 meals were prepared for those who sought refuge at KCC. During his first year at KCC, Oyama also mentored students who entered the statewide culinary competition, Culinary Arts & Suppliers Exhibition, on O‘ahu, where they won first place and brought home the Chancellor’s Trophy. As a judge of the competition, his mentor, Kapi‘olani CC chef instructor, Ernst Hiltbrandt, witnessed Oyama’s successful utilization of what he learned as a student in teaching his own students. Oyama has led KCC students to receive numerous gold and silver medals in other competitions. Oyama teaches students that food is connected to every emotion and life occasion, ranging from joyous to sorrowful. It must be of the highest level of quality and fit the occasion. His goal in every course is to teach the mastery of techniques, methods and flavors. The key is to answer to “Why?” at every level of culinary arts. “Don’t be afraid to make a mistake. Cooking is a lot of trial and error,” is Oyama’s advice to all students because he wants them to build confidence. Oyama also works with industry partners on island, in other states and across the islands to hire KCC graduates. He is to be credited for initiating and orchestrating, for the past 13 years, the annual KCC Spring Gourmet Gala, a food and wine pairing event, which has become the premier, sold-out event of the year on island. And when he’s not in the kitchen or classroom, Oyama serves on over seven boards including the Kaua‘i Mayor’s Ag Advisory Board, Kaua‘i Economic Development Food & Ag Council, Community Advisory Committee charged with updating Kaua‘i’s General Plan; Na Koa Booster Club; Big Brothers & Sisters of Kaua‘i; Pacific Island Fisheries; and Hawai‘i Fisherman’s Alliance for Conservation & Tradition. 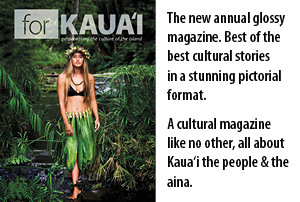 Oyama joins a diversely accomplished group of HRA Hall of Famers including chefs Alan Wong, Ed Kenney, and Beth Ann Nishijima; wine and spirits business owners Warren Shon and the Tamura family; owners of longtime eateries, Roy and Dora Hayashi of Like Like Drive Inn on O‘ahu and Gerard Reversade of Gerard’s on Maui; and retired faculty member of Kapi‘olani CC, Gladys Sato. 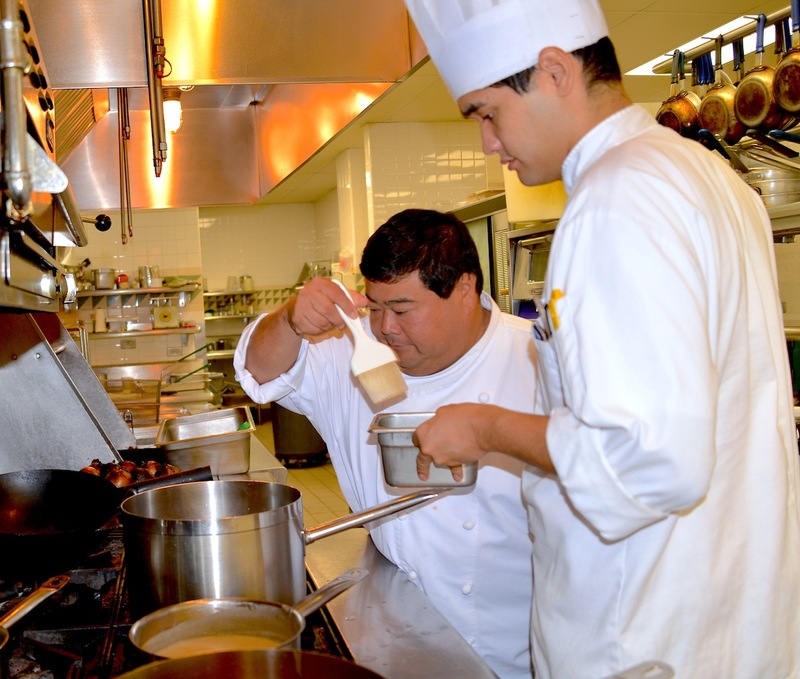 Tying it all back to and honoring the richness of teaching and learning, proceeds from the HRA Hall of Fame annual event benefits culinary students statewide through the HRA Scholarship Program at the University of Hawai‘i Community Colleges.